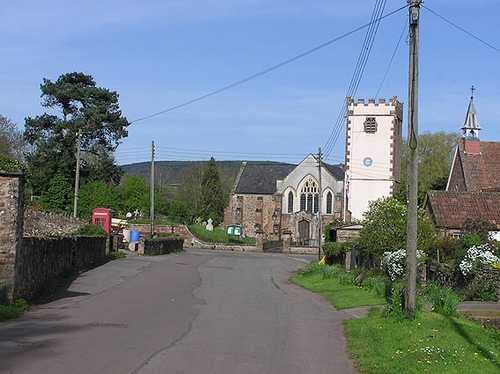 Sampford Brett is a quiet and pleasant village situated at the north western edge of the Quantock hills less than a mile south of Williton, just off the A358 road to Taunton. It lies in a shallow valley cut by the Sampford stream running from Aller, and its main street runs east-west from the Church to the crossroads at the western end. To the south and east of the village there is a good view of the Quantock hills and it is shielded from the main road by the rising hill to the north. The village takes its name both from the sandy ford which crossed the Doniford stream between Sampford Brett and Woolston and from the Brett Family (see Village History). The village has a great community atmosphere and there is a huge range of activities taking place, most centered on the village hall. (see Village Activities) The village is ideally placed for those interested in walking and outdoor activities in general, being close to the Quantock hills and Exmoor. The Coleridge Way footpath passes through the village. There is a well used village hall, with car-park opposite. It is carpeted, with a small kitchen. The hall houses the Village History Group's archives. The hall as a digital projector which can be used and a wall mounted screen. Bookings for the hall can be made through Charles Cadby on ccadbyc@gmail.com or 01984 631956. The old telephone box (listed K series) now belongs to the Parish Council and houses books for loan, open to all.